A couple of weeks ago, we exhibited at PTC® Live Global. In addition to manning the exhibition booth and learning about PTC® Creo® Parametric™ 3.0, we were introduced to a fantastic program called FIRST®, which gets kids involved in science and technology. FIRST, an acronym of For Inspiration and Recognition of Science and Technology, is a youth program that introduces kids to the wonders of science, technology, and engineering at an early age. The program runs from kindergarten through High School. The kids begin their science journey with LEGO® bricks and end with remote controlled robots. Local teams of all ages were at PTC® Live Global since PTC is a major sponsor of the program, helping to introduce CAD modeling to kids at an early age. We learned all about this inspiring program from the participants themselves and saw a live mock competition. 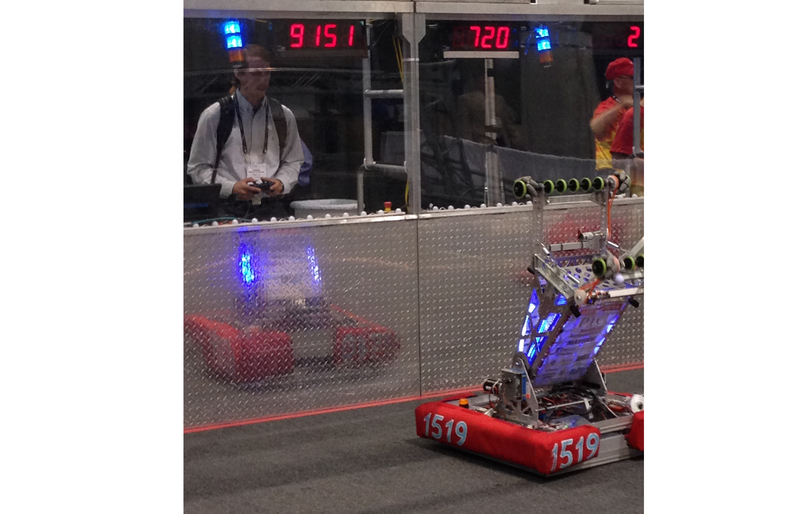 A personal highlight was when I got to demo one of the robots from the FIRST® Robotics Competition. Of course, the conference had other highlights too, including the unveiling of Creo® Parametric™ 3.0 (among other products), which will be released in July. If you are unfamiliar with FIRST®, as I was before the event, the program is designed to show youths that science, technology, and engineering are fun and rewarding. 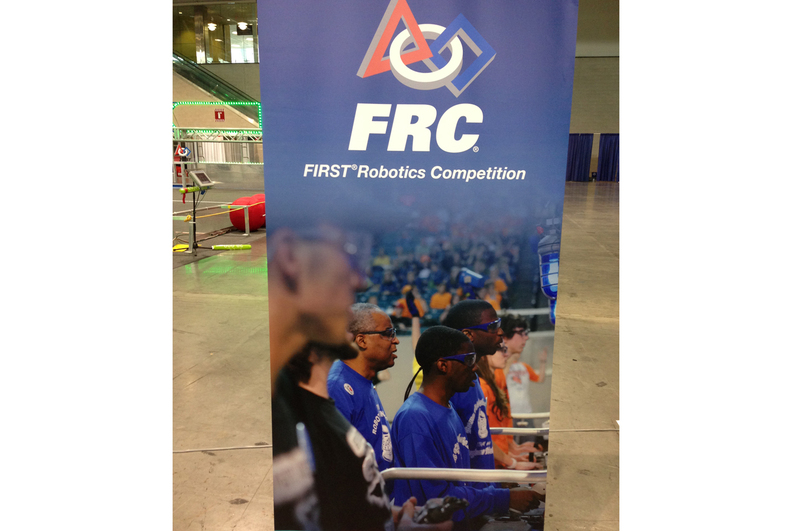 There are four programs: Junior FIRST® LEGO® League (grades K-3), FIRST® LEGO® League (grades 4-8), FIRST® Technology Competition (grades 7-12), and FIRST® Robotics Competition (grades 9-12). Teams are locally funded and mentored by volunteers who are typically the parents of the children involved. 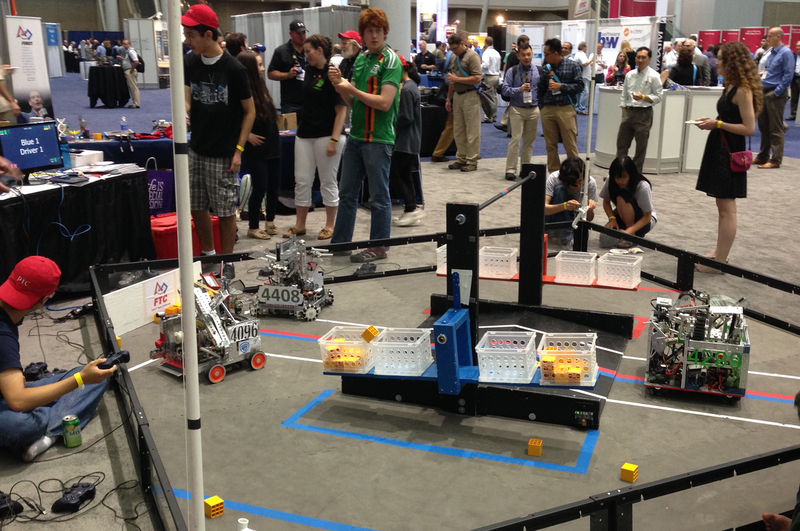 The two programs for the youngest tiers involve building autonomous robots that perform a set of tasks out of LEGO® kits. 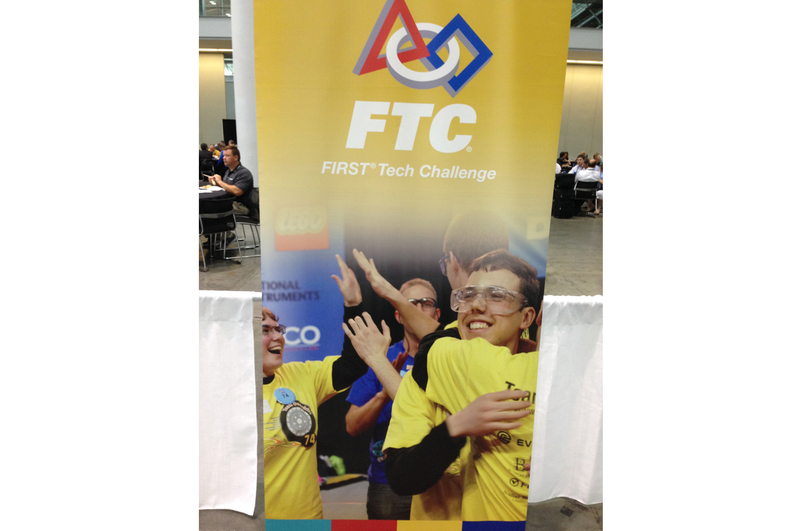 The FTC® program involves both an autonomous period and a remote controlled period in which the robots must perform various tasks. 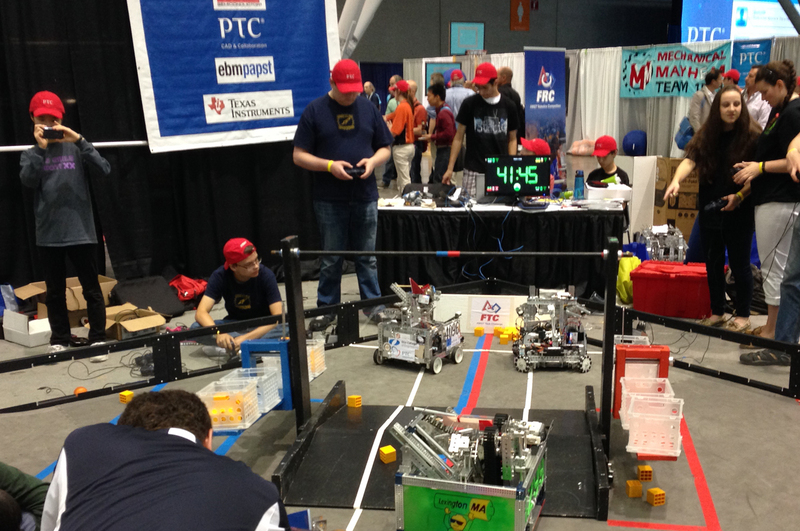 The FRC® program is the biggest and most exciting program, with bigger robots and playing field as well as harder tasks. 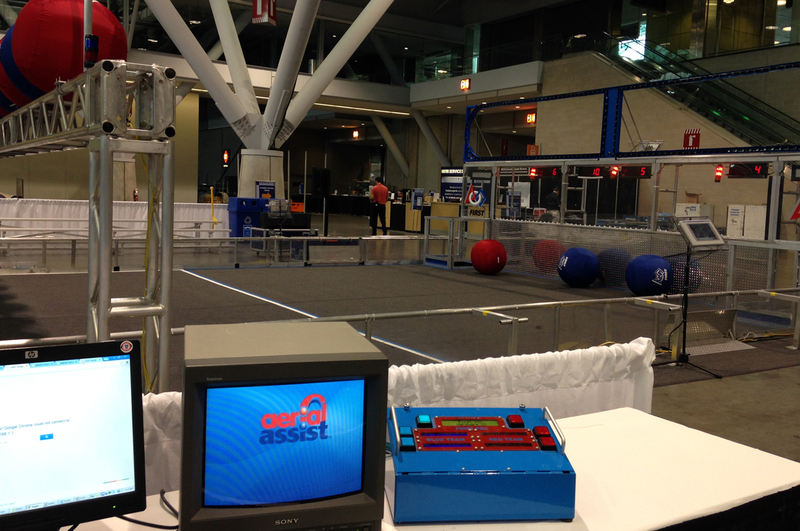 Each year, a new game is revealed and the teams have six weeks to build a robot from a kit of supplies. 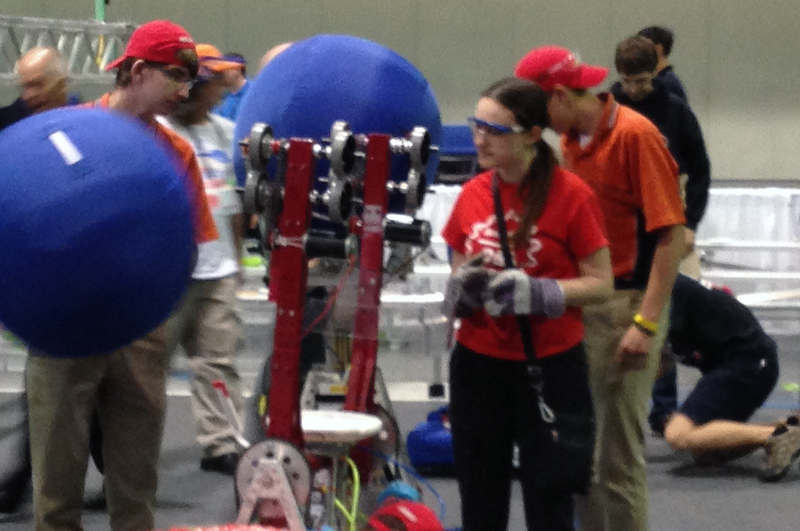 After the six-week build period, they hold a two-month long international competition, culminating in a championship event on the Einstein Field in the Edward Jones Dome in St. Louis, MO. Each team joins two others from around the world to form a so-called Alliance, increasing the importance of and reliance on teamwork. Teams score points by passing to other teammates and scoring in a high or low goal. All of these programs encourage team building and creative thinking, while maintaining a healthy competitive spirit. 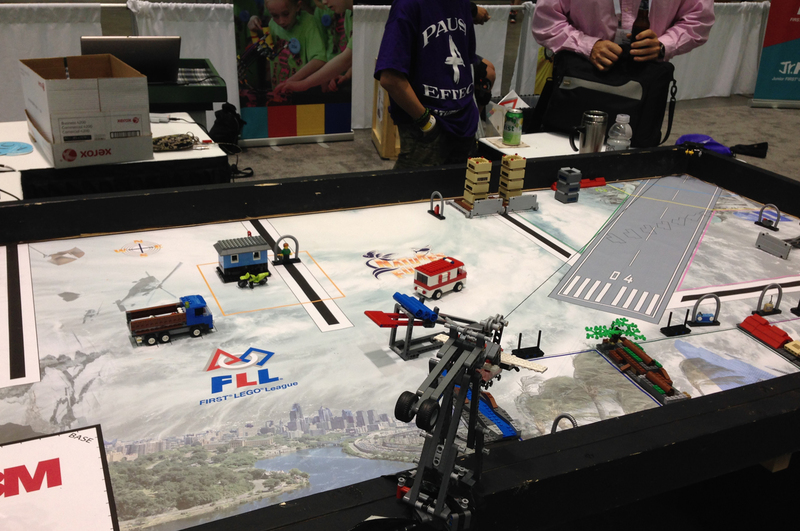 The FLL playing field in action. 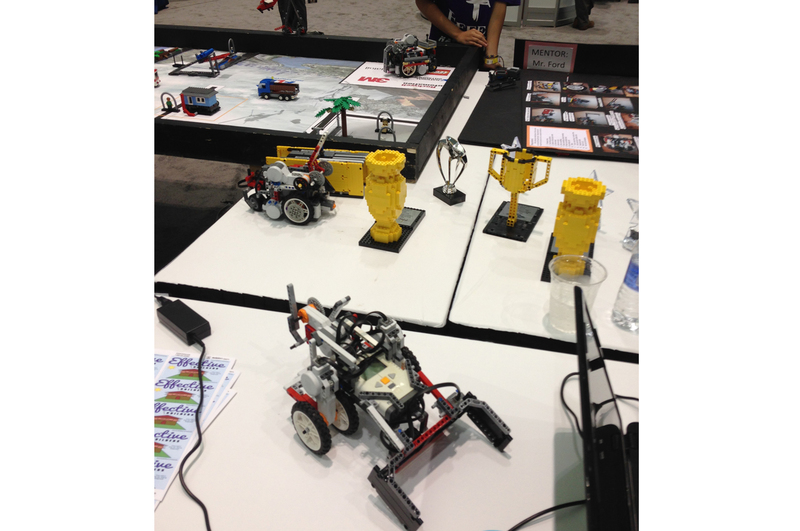 For FLL, the trophies are appropriately made of LEGO® bricks. The FTC students and mentors setting up. The FTC® playing field in action. Teammates making last-minute adjustments to their robot. In this year's game, Aerial Assist, teams had to score foam balls in both high and low goals in their zones. I'm behind the glass driving the robot. Someone next to me is controlling the launching mechanism. To us at COMSOL, new functionality added to the PTC® Creo® software is always interesting, as we are PTC® partners as well as users. It’s always pertinent to keep up with API-related news as well as with new features and functionality. This was especially true this year, because at the event, Creo® Parametric™ 3.0 was revealed. From the beginning, the PTC® Creo® Object Toolkit was designed to be the common API for all Creo® apps. It introduced many features that make life easier for a programmer, such as automatic data type conversions and smart pointers. 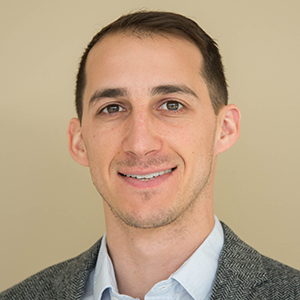 My colleague Lorant Olasz attended a session on PTC® Creo® 3.0, where he learned that the API will see expanded coverage of functionality and the PTC UI editor will make it easier to implement additions to the user interface. There were also several presentations during the conference that covered news on the various PTC® Creo® 3.0 apps. Of all the new functionality, we would like to highlight one in particular. PTC calls it Unite™ technology and it will make it much easier to collaborate across CAD software. Leveraging the Unite™ technology, users of PTC® Creo® Parametric™ will be able to open and reference CAD designs created in other software, just as if it were a native file. The same basic idea of being able to utilize geometry no matter where it comes from for modeling with COMSOL Multiphysics® software is behind our LiveLink™ products for CAD integration. For instance, as you may already know, if you want to connect PTC® Creo® Parametric™ software and COMSOL Multiphysics® software, LiveLink™ for Creo® Parametric™ is your tool. Between the introduction to FIRST® and the reveal of PTC® Creo® Paramteric™ 3.0 and its Unite™ technology, the PTC® Live Global 2014 conference was entertaining and successful. If you missed out, you can watch the keynote presentations and learn about the new functionality to Creo® Parametric™ 3.0 on their website. If you want to get involved in the FIRST® program, visit their website to learn how. FIRST, FRC, and FTC are registered trademarks of the United States Foundation For Inspiration and Recognition of Science and Technology (FIRST) which is not overseeing, involved with, or responsible for this activity, product, or service. 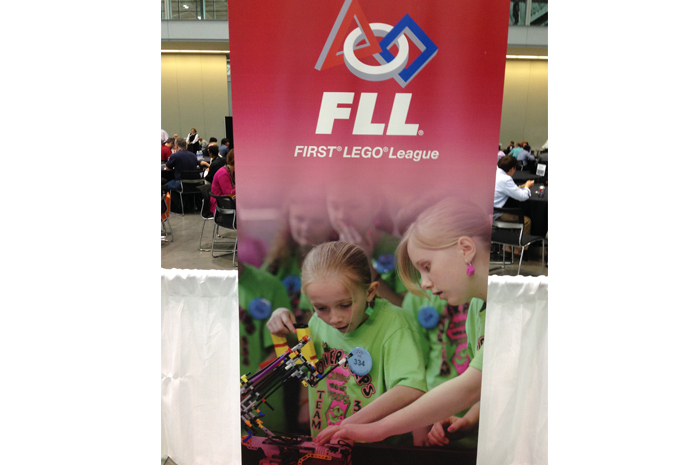 FLL is a jointly held trademark of FIRST and The Lego Group, neither of which is overseeing, involved with, or responsible for this activity, product, or service. LEGO is a registered trademark of The LEGO Group which is not overseeing, involved with, or responsible for this activity, product, or service. PTC, Creo, Creo Parametric, and Unite are trademarks or registered trademarks of PTC Inc. or its subsidiaries in the U.S. and in other countries.